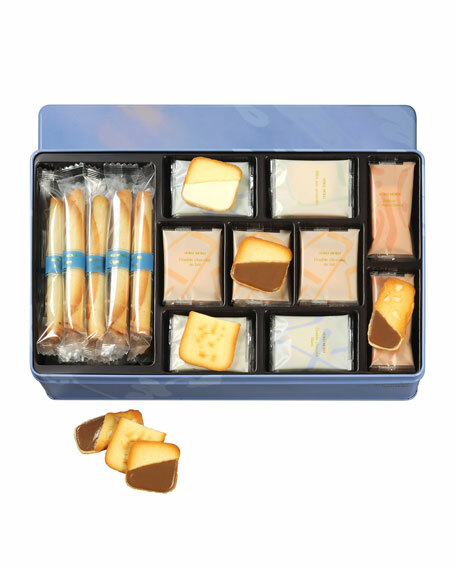 An assortment of five different types of confections: Cigare, Double chocolat au lait, Bateau de macadamia, thin butter-vanilla based confections doubled over with silvered almonds on top, and shortbread-style confections. Net. wt., 21.56 oz. Serves 21.